Dietary supplements are minimally regulated in the U.S. Indeed, I’m continually amazed at how much supplement manufacturers can get away with and for how long. For example, one of the most recent atrocities against science occurred when Boyd Haley, disgraced chemistry professor at the University of Kentucky and prominent member of the mercury militia wing of the anti-vaccine movement, tried to sell an industrial chelator as a dietary supplement to treat autistic children. True, that was too much even for the underfunded, undermanned FDA to ignore, but it was amazing how long he got away with it. Apparently it takes someone trying to market a chemical compound that can’t by any stretch of the imagination be characterized as a nutrient or “food” to be so obviously against even the weak law regulating supplements (the Dietary Supplement Health and Education Act of 1994, or the DSHEA) that the FDA could take action. Many are the times that I’ve complained about another Senator, namely Senator Tom Harkin (D-IA) for his advocacy of woo that led hm to foist the atrocity that is the National Center for Complementary and Alternative Medicine (NCCAM) upon an unsuspecting nation. However, as bad as Tom Harkin is, he is also known as a staunch advocate of the NIH and funding for legitimate medical research, and has been for decades. The problem is that he has a hard time distinguishing worthwhile medical research from quackery, but arguably he’s supported enough good research that his unwavering support of NCCAM can almost be forgiven. Almost. Hatch, on the other hand, has no such redeeming quality to counterbalance his support for quackery and his defending supplement manufacturers against anything that might jeopardize their profits, no matter how reasonable the regulation. True, he denies that this is true in his NYT article. Big surprise there. He even has the gall to claim that he’s been a champion of regulating supplements, a claim that is, at best, a fetid load of dingo’s kidneys. I am amused, though, that the NYT didn’t forget to point out that there’s a new Republican quackery supporter in town, and he’s out to unseat Hatch by–you guessed it–sucking up to the supplement industry even more than Hatch does. His name is Jason Chaffetz, and he’s a former supplement company executive turned U.S. Representative and co-chair of the Dietary Supplement Caucus. (Yes, there really is such a thing.) I wrote about him not too long ago because of his support for what I then termed the “wonderfully Orwellian” Free Speech About Science Act of 2011 (FSAS). Boiled down to its essence, the FSAS would weaken even the desperately weak DSHEA. Basically, under the auspices of allowing “more free speech about food,” it would neuter the FDA with respect to claims about supplements, and it does it through a very clever turnabout regarding the use of peer-reviewed research in that it places the burden of proof on the FDA to demonstrate that scientific studies used to bolster health claims for food and supplements are not good research. One can see the obvious problem with that. Supplement manufacturers could claim anything they wanted, as long as they could pull out a scientific paper or two, and it would be up to the FDA to have to refute them. Like the case for quacks, it wouldn’t be too difficult for supplement manufacturers to produce a constant stream of dubious research to point to, allowing the to make almost any claims they want to with impunity. Fortunately, that law appears not to be going anywhere right now, and I hope it doesn’t. However, back in 2010, when John McCain tried to pass legislation to tighten the regulation of supplements, Orrin Hatch and the supplement industry slapped him down in no uncertain terms. Basically, McCain ended up seeking absolution from Hatch for his sins. The story is actually mentioned in the NYT article, as is Hatch’s attempts to intimidate the Obama Administration’s nominee for commissioner of the FDA, Dr. Margaret A. Hamburg. Advocates of unscientific modalities frequently love to bash big pharma and insinuate that legislators are in the pocket of the drug companies. While it is true that pharmaceutical companies are heavy contributors to a number of legislators and wield considerable influence, pro-CAM apologists frequently contrast what they paint as big, soulless, corporations with local, mom & pop “natural medicine” businesses. However, as Orrin Hatch demonstrates, supplement manufacturers have become quite powerful. In some states, they are far more powerful than pharmaceutical companies. There really isn’t much in the way of pharma, big or otherwise, in Utah. There are, however, lots and lots of supplement manufacturers of pushing all manner of poorly supported health claims to sell their product. They also have a very powerful patron, too, in Orrin Hatch, and as long as Hatch is in office you can be quite sure that the DSHEA will stand. It might even be weakened. The question then becomes: What happens after Hatch retires? He is, after all, in his late 70s. Clearly, it’s very likely (although not a lock) that Jason Chaffetz will succeed him and will be even more in the pocket of the supplement manufacturers than Hatch is. He will, of course, not have the seniority and long years of having built up political power and capital that Hatch has right now; so at first he won’t be nearly as effective a protector of the supplement industry. I fear that the only time supporters of more science-based regulations of supplements will have a chance to do away with the DSHEA will be in the immediate wake of Hatch’s retirement or death, before his successor can accumulate clout. But sarcasm aside, it is rather disturbing that you can find an alt med fan gushing about the virtues of chiropractic and homeopathy and indulging in conspiracy theories about pharmaceutical research on just about any major news site, but when supplement makers protest even the most minimum of regulation to protect their profits, the story never gets reported. The bathtub chemistry industry = $. $ = political power. These guys are smart and know that they cannot face the same scrutiny as those companies/products forced to adhere to FDA regs. They’re parasites and Hatch is just a symbiont. Charlatans who sell supplements drum up support by claiming that the Feds ( or the World Government) are trying to deny customers access to these life-giving products, especially the more arcane substances or those in high dosages: ” You’ll only be able to purchase vitamin C in 60 mg form- the recommended RDA- like in Europe”. The looming spectre of *Codex Alimentarius*- currently grasping natural health advocates by the throat in Western Europe- will soon be winging its way across the pond, arriving at your doorstep posthaste to tear your cherished arginine tablets from your cold dead hands. The Alliance for Natural Health has managed to raise 90K pounds to fight this blight upon the life force- ( see ANH website). Actually, the demand for products like multiple 500 mg vitamin C capsules per day is largely tracable to pseudo-scientific claims like that of Linus Pauling, who in his dotage, advocated mega-doses of C as panacaea: these are echoed by many who similarly trumpet mega-doses of vitamin D, Niacin, or minerals- *which they sell*- without sufficient research to merit such action ( see- Gary Null.com; Mercola.com). Marketting herbal products relies upon the lure of the Exotic East or Native Wisdom, be it from Africa or the Americas: listen to Mike Adams wax nostalgic for the good old days before the Conquistadores. Ayurveda and “Oriental” medicine provide similar grist for the advert mills, as do Miracle Fruits from Brazil. If you look at products at NaturalNews ( either as ads or in the “store”) you’ll find “food grade” 35% hydrogen peroxide and “silver” amongst the offerings. When McCain’s DSSA was introduced, natural health entrepreneurs, like those aforementioned, alerted their followers to phone and e-mail Congress to express their discontent with this assault upon their health freeedom: letting customers do the heavy lifting so the woo-meisters needn’t squander their own “hard-earned” cash on pay-offs or contributions like respectable big business manipulators (or standard supplement manufacturers). It worked. He was the chief author of a federal law enacted 17 years ago that allows companies to make general health claims about their products, but exempts them from federal reviews of their safety or effectiveness before they go to market. Oh yes, that’s what we all need. Freedom to make unsubstantiated health claims without even demonstrating the product is safe. What a hero. While Congress is often stalled or bitterly divided in addressing some of the nationâs most pressing problems, like the economy and immigration, legislative champions like Mr. Hatch are often remarkably successful in delivering for niche industries or parochial programs. That’s the kindest, gentlest way of saying corporate special interests have unrivaled access to your government I’ve ever read. I bet he knows how to dismiss scientific criticism with the Shill Gambit, too. I’m curious who else they’ll include in this series. Orac clearly illustrates the difference between the ‘Pharma Shill Gambit’ used by quacks and their apologists against their critics, and actual shilling (whether for pharmaceutical or supplement companies, or indeed any industry or special interest): the former gambit invariably involves unsubstantiated assertion, or the tracing of circuitous routes of alleged influence. The latter is plainly shown by unambiguous flows of funds and recpirocal legislative action or obstruction. The FTC is responsible for regulating of advertising, which may include the web. Never hurts to pass on information to regulators about those companies flying below the radar and making dubious claims. But what’s the use? Hatch has no shame, and his constituents mostly think that if the New York Times says something, they should believe the opposite. @Purenoiz Yes the FTC does regulate advertising on the web and are cracking down on things like paid testimonials and bloggers promoting freebies so it may be worthwhile to report them. What’s the use? I would suggest now is probably the best time to report them because we don’t know what the next election will bring. The FTC has done more in the last couple of years (as far as MLM’s like Xango) than they have in the previous 10. I posted this to my FB. I really hope that this kind of reporting can motivate at least some of the crunchy left-wingers to step back and realize the games of power and money and lack of regulation going on with some of their ‘healthy natural lifestyle’ products. Off topic but blog relevant, I just got an email about a CDC advisory concerning measles. It seems that there is a measles outbreak in the US right now. 156 cases, the highest since 1996. Only one person infected was completely vaccinated and 85% were either definitively known to be unvaccinated or had no documentation of vaccination. Measles was, previously, considered eliminated in the US. Prior to this. Here is what you need to know in regards to reporting the selling of illegal drugs or supplements. Consider it part of a neighborhood watch. Disclaimer: I’m not from Utah, but the rest of my family lives there now. It’s not my favourite place in the world, but most people there are pretty nice. However your average Utahans is extremely trusting, to the point of gullible. This, coupled with very weak consumer protection laws, is why there are so many pyramid schemes and wootastic supplements originating from that state. If Brother Jones says this mangosteen juice they’re selling is a miraculous cure for the common cold or that this new investment they’re starting will triple their money in 3 months, chances are strong they’ll believe it. I’m generalising now but your average Utahan will not have a lot of faith in the federal government, leans towards libertarianism, and believes that God has given us what we need to take care of our bodies (e.g., a bend towards trusting herbs and natural supplements over pharmas). Of course this environment will be rich for woo. I have a couple of questions (pro-supplement arguments that I have heard) that I hope you guys will help me sort out. 1) Our food isn’t as nutritious as it used to be, so we have to take supplements. Basically the argument here is that our crops do not contain the same amount of vitamins and minerals as they did during, say, the 50’s. Soil depletion is a common argument. Is this nonsense? And why? Thanks to everyone in advance. These seem to be rather specific questions that I’m having a hard time finding answers for. And, as always, thanks Orac. Supplements like proteins and hormones that would normally be broken down in our digestive tracts are coated to get through. Is this true? Proteins are supposed to be broken down during digestion, since past the age of about 6 months a human’s intestinal linings won’t let proteins through into the bloodstream; preventing them from being digested would decrease bioavailability. And hormones aren’t dietary nutrients but something the body synthesizes itself (unless there’s an endocrine problem), so hormones have nothing to do with dietary supplements. There are some hormones which are being sold as dietary supplements, but that’s has to do with the way dietary supplements are regulated. I know that this is a common practice with cows and certain amino acids, but we aren’t ruminants. I don’t understand what you’re saying. So far as I know, ruminants have a different digestion system in order to break down cellulose. Whether or not Senator Hatch believes in these supplements is debatable. I suspect he has been doing the very same thing that all senators do…pushing through “favorable” legislation for his constituency or his base, just like senators from gas and oil producing states who procure favorable tax treatment in the form of gas and oil exploration “allowances”. Meanwhile, while the United States is still crawling out of a major recession, oil companies made their largest profit on revenue ever, in 2010. Supposedly, it brings jobs to the state. IMO, it is not quite as noble as developing high tech centers, funding higher education and providing start-up funds for innovative smaller companies to develop alternative energy. @ maydijo: Yes, I’ve been to Utah a number of times and I would classify most of the people there as “gullible”…and of course there is always that strong bond of membership in the Church of LDS…the “state religion”. Hey guys, did anyone get their monthly check from Big Pharma…I’m running a little short this month and I have been a good shill with all my postings. I don’t want to move to Utah and market supplements and run a MLM Ponzi Scheme. This may or may not help for your first question, but this is from what I can remember from a semester of a nutrition class. If plants didn’t receive enough nutrients from the soil, they wouldn’t be able to grow or at the very least, would not develop properly. Fertilizers, either organic or synthetic, help most crops receive extra nutrition and help to counteract the loss of nutrients from the soil. As for vitamins and minerals, the amount of vitamins for food crops is for the most part genetically determined. Some of the mineral contents in food crops may be determined by the the type of soil that they are in and the fertilizer used, but for the most part, the effects are small. So in conclusion, people who state that we need to have supplements because the food is not as nutritious are using scare tactics to make you buy their product. If plants didn’t receive enough nutrients from the soil, they wouldn’t be able to grow or at the very least, would not develop properly. I often wonder about the folks who make those claims. I bet they have never tried to grow any kind of flowering or fruiting plant. If they had a minimum of gardening know-how they would know that there are specific requirements for those plants (I personally favor using bone meal, alfalfa meal and compost… plus rotation with legumes). Plus some plants need certain pH levels. I just learned that commercialized blueberries were not possible until their acidic soil needs were found! Such a fascinating story about the development of blueberries as a crop. Yes Chris, I do know that certain plants need/thrive in acidic soil, but confess I don’t have the knack…I kill plants and bouquets with my “brown” thumbs. I’m all about freezing them however; such a delight to have blueberries all year round. Everyone, I presume knows how to freeze them, unwashed on trays in the freezer, then packing them up into freezer bags. Defrosting and washing them under a gentle cool water spray in a colander, makes for a delightful treat all winter long. Considering some of the more bizarre claims that I have heard for the use of supplements, I think some of these people either really do feel that their product fulfills some physiological need for the body or they really want to push their product onto someone. In my opinion, most fall into the second category. And a bit off-topic, although I do like blueberries, and grow some in a small garden, I like raspberries more, although pruning them and spacing them properly can be a bit of a hassle. Oy! You don’t know how difficult it is to make blueberries happy! In our first house I was lucky. I put three bushes into the ground and had lots of blueberries for several years. Not a problem. In this house I have had very little luck until this year. First I put them in the sunniest spot, but since it was the edge of the rockery I could not keep them watered. I poured compost on them. A couple of years ago I just moved them ten feet away from the rockery. 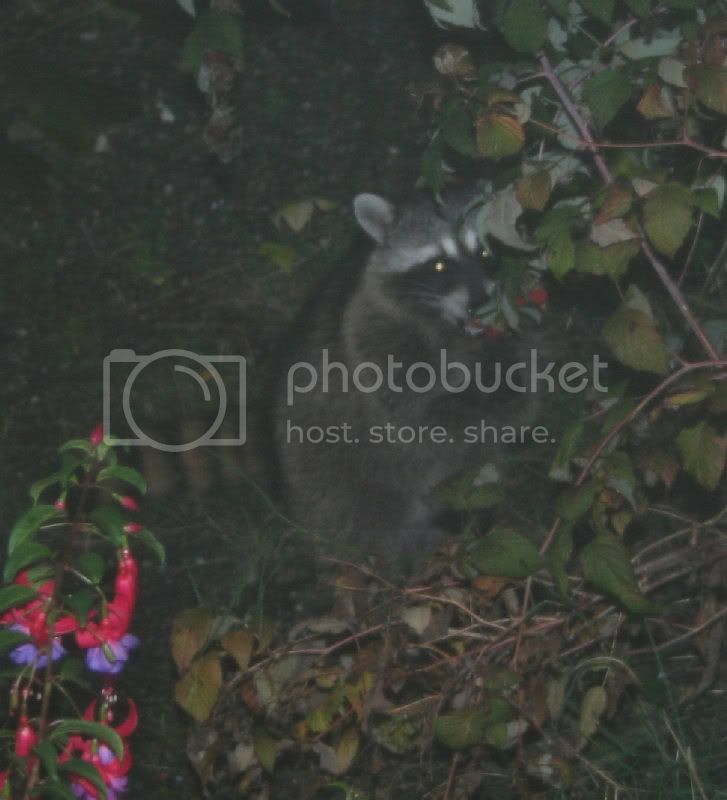 They have finally established and I am actually getting a decent crop of berries. think some of these people either really do feel that their product fulfills some physiological need for the body or they really want to push their product onto someone. In my opinion, most fall into the second category. I get that most of them just want to make money. Especially the big-name types like Mercola. My problem with raspberries is keeping them confined to their space. We only grow ever-bearing varieties just to have enough berries to toss on cereal or hand eat once in a while. I prune by pulling off the dead canes. But I put fresh manure enriched compost, and they seem happy enough. The raccoons seem to like them. Though now, our biggest problem is the new fruitfly. I just put out some traps around my raspberries, blueberries and cherries. Though really, if you are not squeamish, pick the berries, then put them in a sieve in a bowl, refrigerate them overnight… the larvae should fall out of the berries by morning. I wondered about your first point a couple of years ago and did some research about minerals in foods. The idea that our food is mineral depleted seems to originate in a UK study from 2002. It’s not clear if the same analytical methods were used to measure mineral levels in foods in 1940 and in 2002, so it’s hard to say if the differences are meaningful. There is also great variation in mineral content of plants depending on varieties and where they are grown. Current values you have to search individually. Incidentally this is a great resource for finding nutritional content of different foods. I was particularly interested in magnesium content of foods, as CAM proponents often claim that we are all magnesium deficient. I found that since 1942 there has been no change in the magnesium content of cabbage, lettuce, and tomatoes, and a slight increase in the magnesium content of spinach. What is with the Hatch family? If it’s not Orrin on the side of protecting the American voter from something that would be good for them (testing supplements for safety and efficacy), it’s his Hatchling Brent backing a firm trying to protect the American voter from paying $0 for Open Source software. I have to wonder how much is due to their moron Mormon belief system, and how much is due to contamination of the Salt Lake City water supply. NEW YORKâPfizer spokesman Vincent Martin announced that the company had achieved a major personal breakthrough Monday by finally summoning the courage and confidence to overcome its need to constantly seek the FDA’s approval. “We’ve spent so many years fretting and obsessing over what the FDA would think of our new drugs, when all that time, the only people we really should have been worried about pleasing was ourselves,” said Martin, who was emotionally supported onstage by other international drug company spokesmen who have been through this exact same thing. “So you know what? From now on, we’re just going to start manufacturing drugs the way we want, because we’re good at it, and, I’m sorry, life is just too short to second-guess yourself.” Martin added that if the FDA knows so much maybe they should just start manufacturing their own drugs. Ok, it’s from The Onion. But they seem to have accurately hit the mindset. I’m sorry I was not more clear. Basically the argument is that since proteins and polypeptides are broken down to their constituent amino acids during digestion, a coating of some type helps the entire active molecule get absorbed rather than broken down. Or it gets broken to a more active metabolite. I know this happens with certain drugs: L-dopa being a rather well-known one. I’m just wondering if such a thing is being done with supplements. My comment about ruminants is that cows need to be supplemented with a specific amino acid that they and the bacteria in their guts can’t make. I know that these supplements are coated in order to prevent breakdown in the gut. By the time the coating is broken down, the amino acid is far enough along in the digestive process that it just gets absorbed. At least, that is what I was taught. The more I think on it, the more I wonder if that is just nonsense as well. Thanks to everyone for their assistance. Basically the argument is that since proteins and polypeptides are broken down to their constituent amino acids during digestion, a coating of some type helps the entire active molecule get absorbed rather than broken down. Proteins can’t be absorbed unless they’re broken down (or unless you’re a baby of 6 months or under). If the supplement is an digestive enzyme which is meant to aid digestion then it would need to be coated to prevent it from being denatured by stomach acids, but what percentage of dietary supplements are digestive enzymes? Also, even babies need amino acids, since otherwise they wouldn’t be able to synthesize their own proteins. They absorb full proteins through their intestinal linings because that way they can get maternal antibodies from breast milk straight into their blood. Absorbing full proteins into your blood from your intestines in general wouldn’t be a good thing. My comment about ruminants is that cows need to be supplemented with a specific amino acid that they and the bacteria in their guts can’t make. I know that these supplements are coated in order to prevent breakdown in the gut. From some googling I get the picture that ruminants are sometimes fed coated amino acid (AA) supplements, where the coating is meant to prevent the AA from being absorbed by the bacteria in the animal’s stomachs, so the animal gets all of the supplemental AA. If that’s correct, and if any supplement sellers are using that as a reason to use supplements, it would only apply to amino acid supplements. I have never seen a supplement with an enteric coating generally they are just powder in a gelcap nothing fancy. Most claim better absorption because they are “natural”. I have a bottle of branched chain amino acids right here and again just white powder in a cheap generic gelcap I see nothing that suggest any type of coating. Some of the companies do claim to use special methods to increase availability like Mercola uses cappliques to increase absorption of his krill oil but they are just really thin capsules. My friend had a bottle and it was a goopy stinky mess because most of the cappliques broke in the bottle. I have no idea if they were stored properly but yuck! I have also seen some which claimed to be time released but I am not sure how that is achieved. So I wouldn’t say none of them use coatings but I don’t think most supplement makers do. What I have seen has been very cheaply made. I want to add that I mentioned that the FTC had taken action against MLM’s recently but I was wrong. I thought the FTC was part of the Amway settlement last year but I was mistaken so I agree they probably won’t do much about this either. I just did a quick Google search and actually a lot of supplements do have enteric coatings I just haven’t noticed them before. In particular a lot of the digestive enzyme supplements are coated whether that makes them anymore worthwhile I don’t know. For the record, I don’t take supplements. The cost to purchase them is more then I can justify. On the other hand, I can tell when my body is lacking in something it needs like iron or even vitamin B, which is the only vitamin complex I keep on hand (for nervous system issues) and I’ll adjust my diet accordingly. If there were any other supplements I would take, they would probably be calcium citrate (I’ve been told it is the most easily absorbed) vitamin D (since I’m over 40 and getting at risk of osteoporosis) and omega 3 fish oil, but I prefer to eat actual fish to taking a pill that makes your burps taste like fish for hours afterward. But I still can’t justify the expense. I’ve increased my intake of milk and other food rich in calcium, and increased my exposure to sun (as much as I can in Oregon anyway) and try to do light weight training as that can help to increase and retain bone density. With all the hype out there, and even medical doctors buying into it, it’s difficult to know what information to trust and what is just quackery. I am quite curious on everyone’s thoughts on melatonin for sleep regulation in a child with autism. It was recommended by our developmental pediatrician to give to my son .5 MG 30 minutes prior to his bed time to help him get better sleep. He’s always had sleep issues since he was born and continues to have them now. He’s a very light sleeper too so any noise will wake him (sister blow drying her hair in the bathroom at 5:30 in the morning is a big one). On days like that I’ll usually try to get him to take a nap in the afternoon, but it’s always a fight to get him to sleep and after an hour or so of trying I’ll just give it up as a lost cause, but that doesn’t mean he goes to sleep any easier that night. In fact it’s harder for him to get to sleep because he’s over tired. I hesitate to give hormones to any child regardless. Lack of sleep affects me and him both and I know that adequate sleep will help him get more out of his therapies and with ability to learn. It’s a tough dilemma though, because I don’t fully trust the use of non-regulated hormones as a sleep aid in children. I wouldn’t use it on myself even though I suffer with bouts of insomnia and have most of my life also. This is an argument that I keep going over and over on my head and the pros and cons always come out equal. Am I trying to find a reason NOT to use it because of my fears? Am I hurting my son and diminishing his potential by not adopting this practice to allow him adequate sleep so he is better focused at his therapy sessions? I certainly wouldn’t give him anything that would hurt him, and I keep going back to the fact, melatonin is produced naturally on the body. I don’t know if there have been any reputable studies regarding children with autism having inadequate regulation of serotonin versus melatonin though. Any ideas?